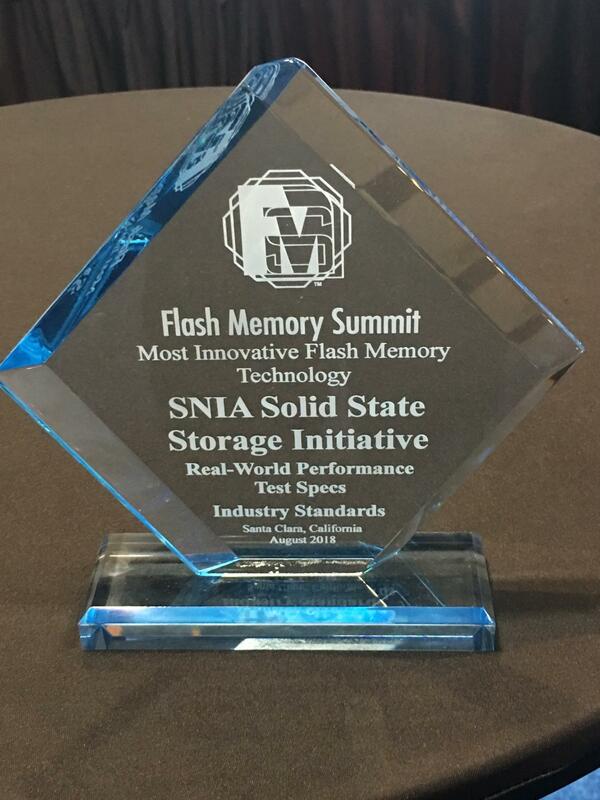 Congratulations to the SNIA Solid State Storage Initiative and the SNIA Solid State Storage Technical Work Group for winning Best of Show at the 2018 Flash Memory Summit for the SNIA Technical Position Real World Storage Workloads Performance Test Specification. 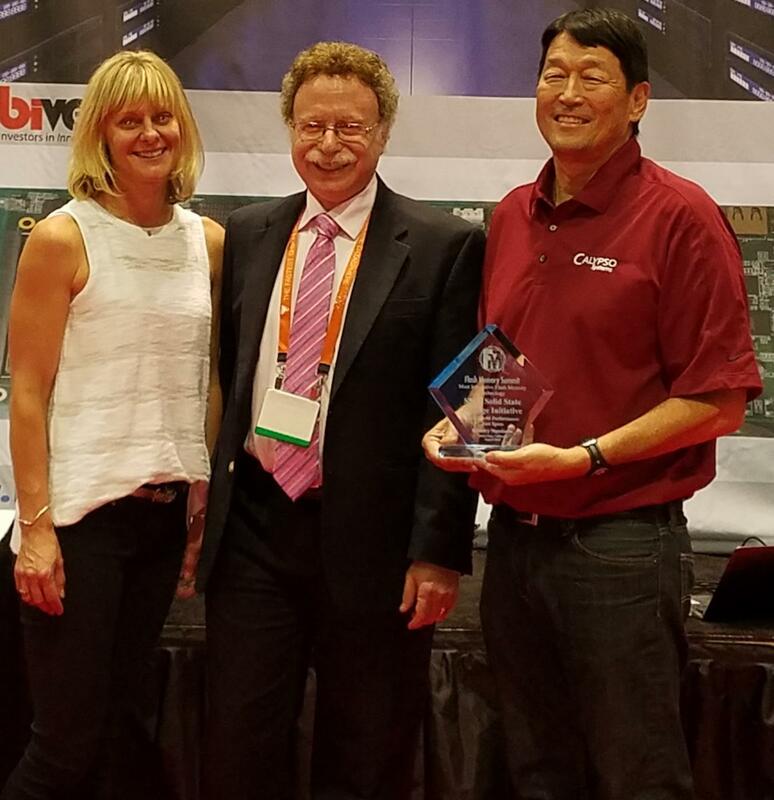 Pictured (left to right) are Jennifer Dietz, SNIA Solid State Storage Initiative Marketing Chair, Jay Kramer, FMS Best of Show Awards Chair, and Eden Kim, SNIA Solid State Storage Technical Work Group Chair. Learn more about Real World Storage Workloads at the SNIA Solid State Storage Initiative Knowledge Center, where you will find white papers and presentations. This Real World Storage Workload Performance Test Specification describes a real-world storage workload IO capture, characterization, methodology, test suite and reporting format. It is intended to provide standardized analysis of in-situ target server application storage performance and standardized comparison and qualification of Datacenter storage when using Reference IO Capture Workloads as the test stimuli in RWSW tests.